With just a few days left before we enter a new year, I got a bit nostalgic and scrolled down my Flickr stream to have a look back. While 2017 has not been a particularly great year for some months, it is never a problem to find the good stuff that happened, the great places I visited and parties/events I enjoyed. As I said in my end-of-year post of 2016: there is good in every year! For this blogpost I decided to choose one picture per month, as to show my Second Life in 2017. A look back to good times and oh well, perhaps some less good times, but an overall not really bad year! In this month I was honoured to be interviewed and photographed for an article in Attention Magazine! A first time for me, I had never been featured in an SL Magazine before and I very seldom get asked to pose for fellow photographers, so this was a new experience and fun! I was interviewed by Brunella Voelisa and the official photoshoot was done by Bewitched Difference, so the first picture in this post is one I did not make myself! Ahh, the month of romance and love, because: Valentine’s Day! Like all other holidays, Valentine’s Day is of course celebrated allover the grid and included a Kiss-A-Linden event – organised by Linden Lab – which I visited in order to get some Linden-kisses! Well, they didn’t really kiss, but they hugged and posed for pictures, which was good enough. As every year at this event, I had the chance to pose with several Lindens, including Torley! Good times! In March I visited several art installations and danced in clubs, but also enjoyed dressing up in a more fantasy style – something I always love to do, specially when the Fantasy Faire is coming in sight! While I do not RP as such, I love to indulge in elven costumes and outfits and wander around on fantasy themed sims. But hey, I am an Elf after all! 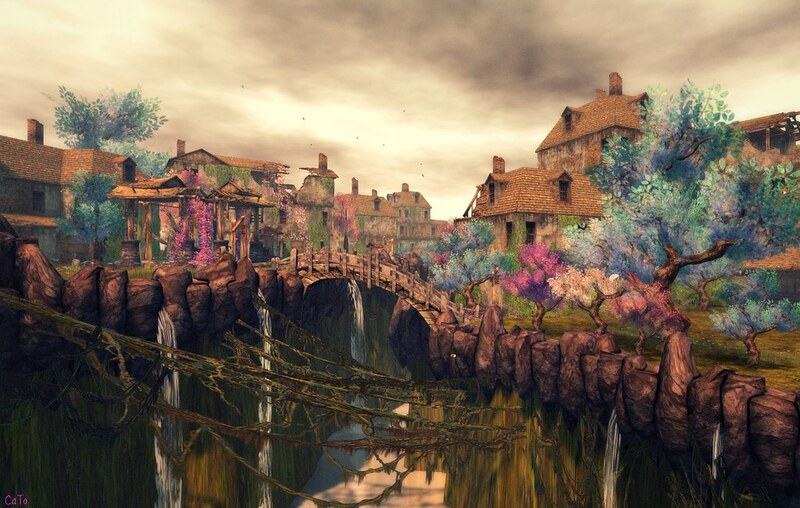 April is the month of the Fantasy Faire in SL. For me the biggest and most important event, and this year I was pleased to be asked as official Photographer and Author again. So naturally most, if not all, of my images uploaded to Flickr in this month are Fantasy Faire sims and events. 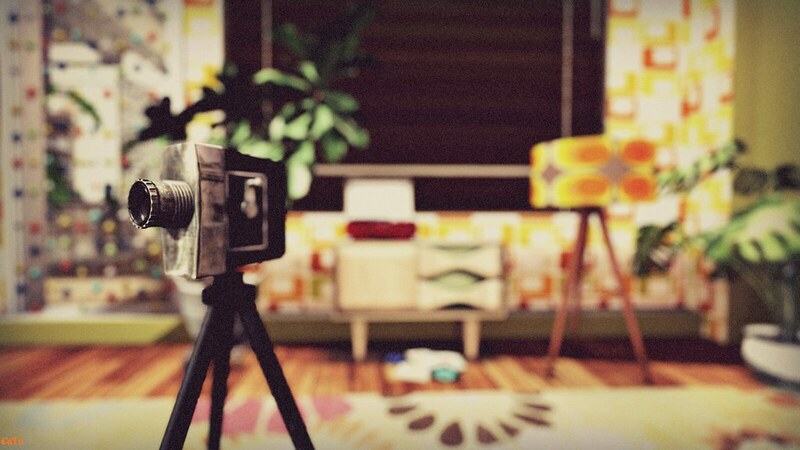 I always find it impossible to name a favourite sim, as all the sims are more than awesome, so for this blogpost I choose a pic of “Dawn’s Promise” created by Marcus Inkpen and Sharni Azalee, simply because this was the first sim I visited once the Faire opened for the photographers. Summertime! When all of Second Life is about bikini’s, beaches and pools. And this year also: flamingo’s. I spent quite some time hanging about in my own virtual pool as I had to avoid the real life sun as much as possible. A nice substitute but, to be honest, I can’t wait till next summer and some real sunlight! In August I accepted to take over the Paper Crown from Huckleberry Hax – a challenge of sorts which means you have to have the Crown in ALL pictures you publish on Flickr for a whole month. A very fun challenge and I enjoyed coming up with all kinds of songs to go along with my crown-images. In August I also celebrated my 10th rezzday, with a virtual glass of wine and virtual cake! How royal! In September I treated myself on a present: a photoshoot by Skip Staheli, whose work I admire and because I wanted some great portrait pictures of myself! 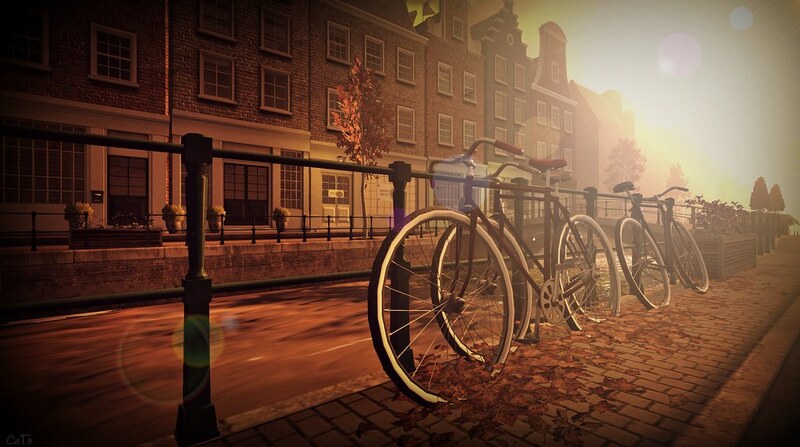 November is the month when Second Life gets covered with snow. One by one most of the sims close for a few days to realise the seasonal change and re-open with snowy mountains, log cabins and hot cocoa everywhere. It takes some effort to find a place that is not covered in snow, but they exist! I went to see Amsterdam and was pleasantly surprised to see how well and real it looked. And, no snow! In November I also had to decide to step back as Owner/manager of SL Blogger Support, which was not an easy decision to make – but best for me and the group. When writing this post, it is still December – but I picked a photo anyway. A picture I took last week at the launch party of Huckleberry Hax’ latest novel, AFK Awaiting, of the crowd listening to him reading the first pages. A great evening, with lovely guests and great music by DJ Lake Tower, a perfect beginning of the Christmas weekend. And so this was my year in pictures! I hope you enjoyed the looking back and perhaps it brought back some memories of your own. Thank you for reading/following my blog and Flickr, it means a lot to me! For 2018 I wish you all a healthy, inspiring and happy year, with lots of love and happiness and… may all your wishes come true! See you next year! Cheers! Oops, I must have missed you comment! A very happy new year to you too Praline!